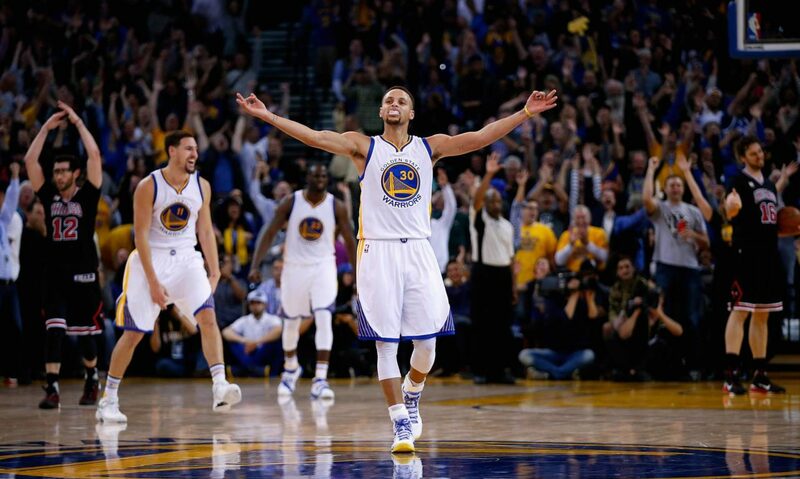 San Francisco 49ers & 20/20 Sports win! 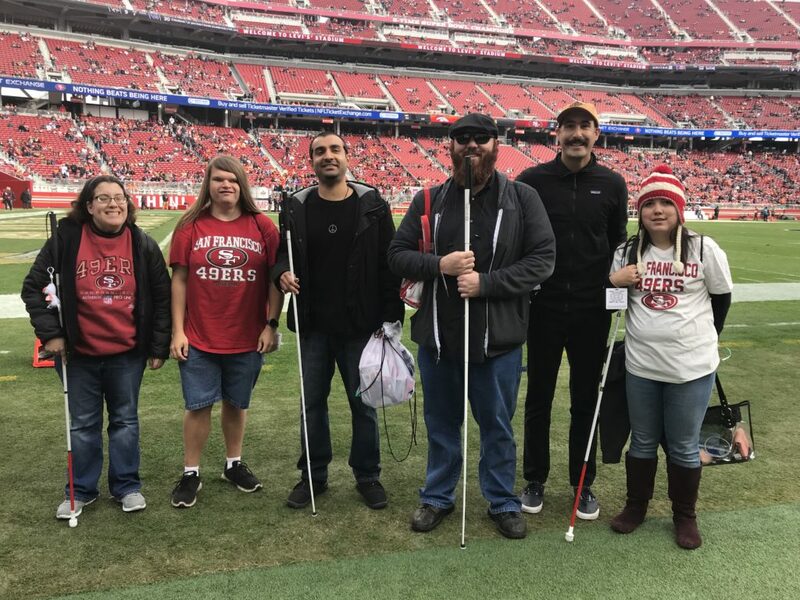 In a fitting end to 2018, 20/20 Sports Experience and The Lighthouse partnered with the San Francisco 49ers to experience their December 9th home game versus the Denver Broncos. 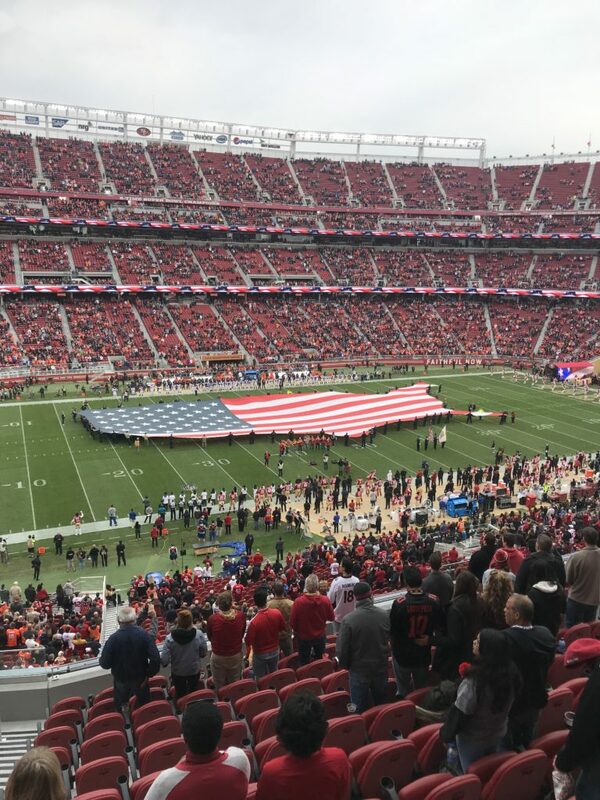 Six total guests attended the game at Levi’s Stadium in Santa Clara, and witnessed an amazing victory by 49ers! The Niners and especially our main point of contact, Daniel Wang, were thoughtful, attentive and helpful throughout the entire process leading up to game day. 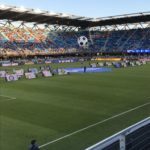 They gifted us with tickets, food vouchers, parking passes, swag bags with all sorts of 49ers gear, and a pre-game visit on the field. To say that we were pampered would be an understatement. 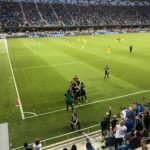 Our group was incredibly excited to use this game as a way to cheer on our favorite team, experience the energy of 40,000 plus fans and to feel more comfortable in such large public settings. 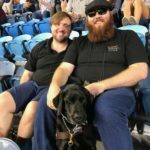 20/20’s goal is to instill confidence in visually impaired young adults by providing them a carefree day of sports and fun. 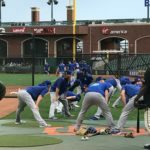 Sports balances potential anxieties associated with being in large, often times chaotic, public settings. Our participants navigated the day excellently and we couldn’t have asked for better experience. 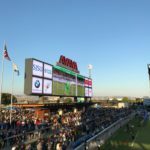 We look forward to 2019 and to partnering with the 49ers again next season. 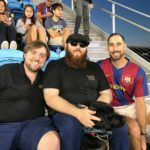 Giants & Lighthouse team up again! This post is written by our fantastic partner, Jamey Gump. Jamey leads the Youth programming at the Lighthouse for the Blind and Visually Impaired. 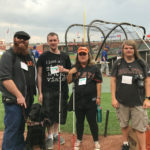 “On Friday, September 14th, 2018 the LightHouse Youth Program headed over to the AT&T Park to watch the Giants take on the Rockies. 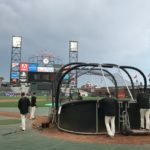 From the beautiful crisp evening game, to the overpowering yet delicious smell of stadium garlic fries, to Tony Bennet singing the Giants off the field, the evening turned out to be an awesome outing. Even Dodgers fans were caught cheering for a Giants win. We were even able to track down “Lou Seal” to get a great photo of some of the students that attended. 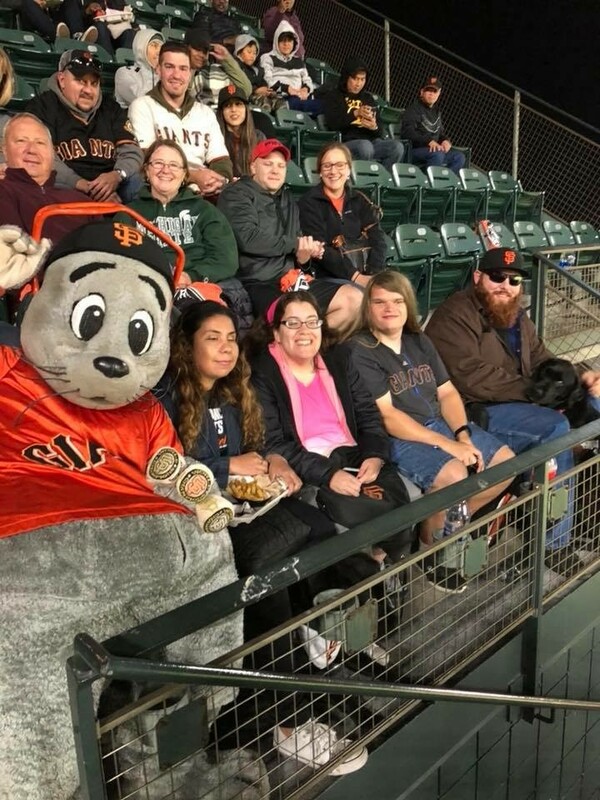 Lou Seal joins visits the Lighthouse youth in the stands!